Kelli McCusker, VP Beverages, Campbell Soup Co.
BevNET is pleased to announce that Kelli McCusker, the vice president of beverages for Campbell Soup Co., will take the stage at next week’s BevNET Live Winter 2015 conference. 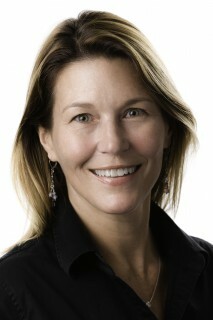 McCusker’s presentation will focus on how legacy brands can transform themselves for a modern context. Since joining Campbell in 2014 McCusker has been tasked with rejuvenating the V8 brand amid explosive consumer demand for fresh, healthy ingredients and sourcing transparency. In her presentation, McCusker will outline the case for change for V8 and Campbell’s approach to reframing the brand through innovation, leaning on its core equity, vegetables, to launch new product lines in a variety of beverage categories. Her talk will address how the company identified opportunities for lasting innovation within a continuously evolving marketplace. McCusker will also discuss how Campbell navigates a challenging environment for center store grocery aisles, where many V8 products reside, and its efforts to engage consumers through on- and off-shelf promotion. 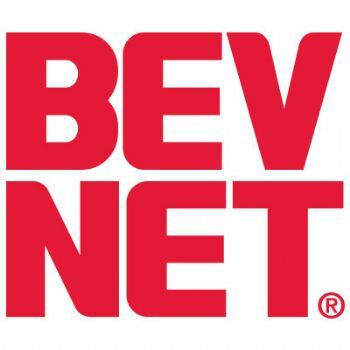 BevNET Live Winter 2015 is being held at the Loews Santa Monica Beach Hotel on Dec. 7 and 8. The event will once again feature the New Beverage Showdown on both days, and a half-day Beverage School session, designed for newcomers to the industry, on Dec. 6. BevNET Live Santa Monica will be held on Dec. 7 and 8 at the Loews Beach Hotel. It is a two-day conference for beverage entrepreneurs, suppliers, distributors, retailers and investors to gather, speak, exchange ideas through interactive panels and lectures, and enhance their sales, marketing, growth and product development strategies. Attendees can tap the expertise of investors and investment professionals who can help them realize growth capital or exit opportunities, explore and discuss strategies from business owners with inspiring success stories, and otherwise absorb case studies curated by BevNET.com, which has spent a decade dedicating itself to careful reporting on the fast-moving beverage industry. More than just a conference, BevNET LIVE includes networking options including the BevNET LIVE Expo, beverage breaks, cocktail receptions and, most of all, community. Kelli began her career in the early 1990’s at PepsiCo where she spent 16 years in marketing roles across the US and Europe, managing brands including Pepsi, Mountain Dew, Starbucks Frappuccino and IZZE. She worked on some of Pepsi’s largest promotional initiatives including “Pepsi Stuff” and managed the Mountain Dew brand when its highly engaging positioning was breakthrough in the market. She joined Campbell in April, 2014 as Vice President, Beverages and has been the driving force behind efforts to reframe the V8 brand, broaden its appeal and consumer base. During the past 18 months, Kelli and her team have set V8 on new mission, to deliver “Veggies for All.” She has begun modernizing the brand and launched three new product platforms including Veggie Blends, V8+Energy carbonated drinks and V8 Infused Waters.